Contact Homestead Accident Lawyers Gerson & Schwartz, P.A. Criminal attacks and accidents happen too often in Homestead. The crime rate in the city is 2.5 times of the Florida state average. You have 1 in 232 chances to become a crime victim in Florida, but for Homestead, the chances are 1 in 85. When you suffer an injury or lose a loved one due to a criminal act, then you are well within your rights to want to speak with the best Homestead crime victim attorney you can call. It makes sense that you will want to know if there some measure of justice you can pursue. Justice comes in various forms including compensation from responsible parties. The types of injuries Homestead crime victims can suffer include spine injuries, brain damages, head injuries, broken wrists, broken bones, broken ribs, neck injuries, back injuries, scars, and other serious bodily injuries. Make sure you contact a Homestead crime victim lawyer to determine if someone else was responsible for the event because it might be complicated to do it yourself. You may have the opportunity to seek full and fair compensation, but you must first identify the correct defendants. Our Homestead crime victim lawyers at the Gerson & Schwartz law firm can help you with that endeavor. We have more than 40 years of experience in cases like yours. We know how to help you. Call us at (305) 371-6000 for free consultations. Let's determine if your case qualifies for compensation and what we can do for you. If you have any other questions, we will be glad to answer them free of charge. Homestead is a city in outskirts of the Miami metropolitan area. 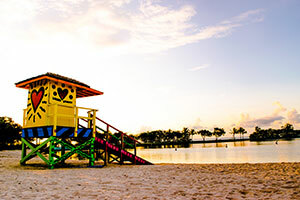 It is known as the “Gateway to Everglades & Biscayne National Parks”. It also uses the motto of “Discover the Opportunities”. Homestead filed for incorporation in 1913 and it is second to only the City of Miami in terms of oldest cities in Miami-Dade County. The surrounding communities to Homestead include Princeton, Naranja, Redland, leisure City and Florida City. As a Florida City, being a crime victim there means that you have three potential methods to recover financially from the attack. You can choose between them, but make sure you do it with the help of an experienced Homestead personal injury lawyer who understands the processes. For do-it-yourselfers, the most obvious way for recovery is to try and recover from the offender himself. It sounds simple and easy, but, criminals rarely pay damages and compensation because they don't have the money. That is why a more viable avenue for compensation might be the Florida Bureau for Victim Compensation. The Florida Bureau for Victims Compensation is available to crime victims for some of their economic losses. You collect all the necessary paperwork that proves your accident and your injuries and submit them. After processing, the Bureau may be able to provide you with some money for your lost wages and medical bills. But this method will never provide you with full and fair compensation for your losses. That leads us to third party liability. The premises liability and negligence laws make land owners and operators responsible for some of the injuries and deaths that occur due to foreseeable criminal acts. Each party who is responsible for the safety and security of their guests, visitors and customers is held to a standard of care. They are expected to take the necessary and reasonable measures to protect their patrons from crimes that may be reasonably foreseeable. When their negligence leads to breach of this duty and injuries or deaths take place, those third parties may be liable for the injuries, deaths and damages sustained. Recovering financially as a Homestead crime victim is possible, but you need to do the work or better yet, have a team of professionals to help you. 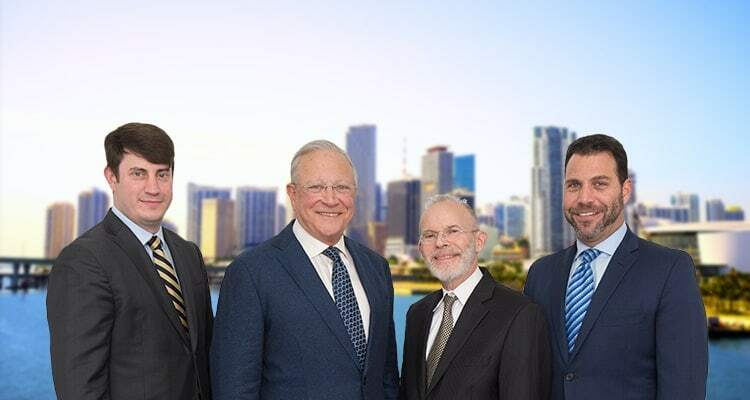 For assistance from the experienced Homestead crime victim lawyers at the Gerson & Schwartz Law Firm, call (305) 371-6000 for your free consultation. We won't ask you for fees until we recover damages for you.